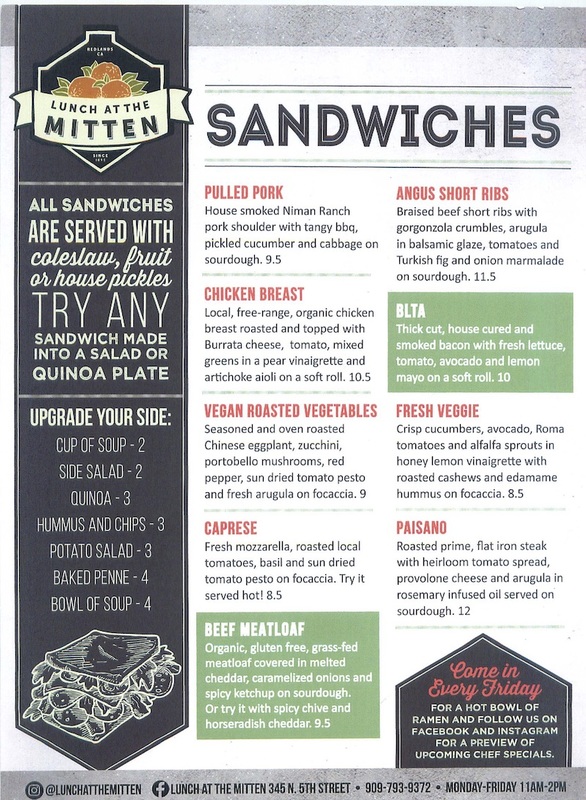 At the Mitten Building, we take pride in all of our reasonably priced, high quality sandwiches, soups and specials. Our bread is made in house every day, our produce is delivered from regional growers, and all of our ingredients are fresh and seasoned by our chefs here at the Mitten Building. We use as many local, all natural and organic ingredients as possible. Our pulled pork and short ribs are even smoked right here in our own back yard, our bacon is cured in-house! We also pride ourselves on serving delicious vegetarian and vegan options. We are happy to be serving our Redlands community and hope you think of us for your next lunch outing. To go orders please call: (909) 793-9372, Free delivery for orders over $40, $5 delivery charge for those under $40. Our full bar is open at lunch! 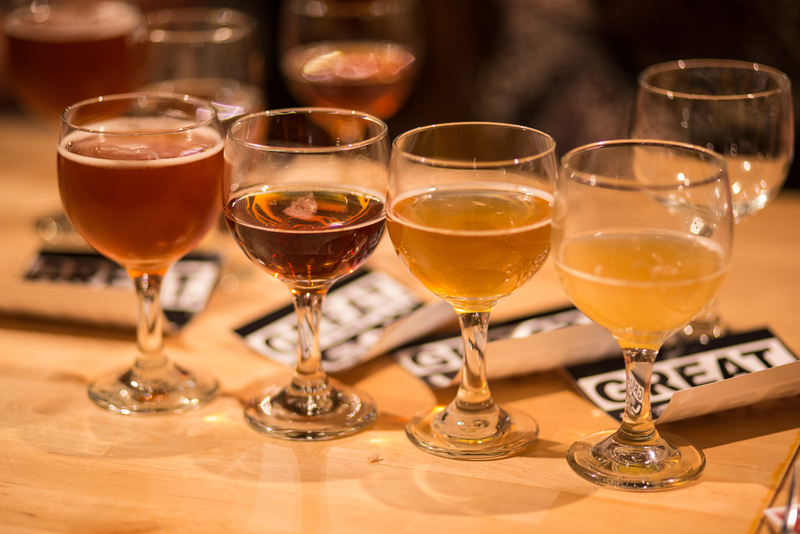 We have a huge selection of mixed drinks, draft beer and wines.